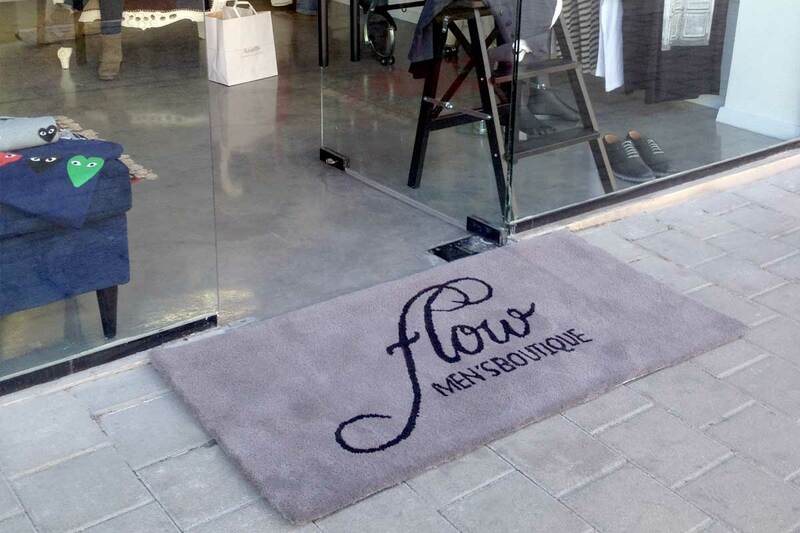 In recent years many fashionable cafés, shops and offices adopted the idea of a unique door mat, realizing that this is an excellent way to show off their logo. A case in point is Flow Men’s Boutique. But obviously, an ordinary door-mat just won’t do if you’re an exclusive boutique adjacent to the posh King David Tower!